After finishing the internal version (ready to be sent to the co-authors) of my first paper on Wednesday evening after weeks of hard work (even on weekends) and iteration with my supervisors, I had to pack in for a full moth, as I was getting ready to leave for two observing runs and for some holidays to the Canary Islands. As always, packing took ages, so I had no sleep at all before my taxi arrived at 5 on the morning. 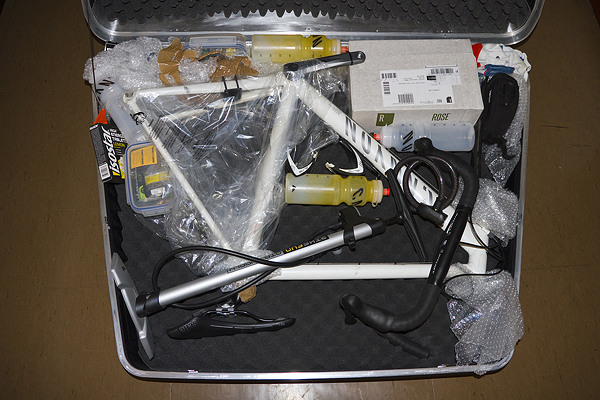 The most difficult part was packing my racing bike to its bike box, because everything had to be placed very carefully, to avoid any possible damage during the flights. (The wheels were placed on top of the whole stuff in separate wheel-bags, but still into the bike box). Luckily, as the original plan was only one and a half hour, and I was a bit afraid, that the bike box will not make it in time from one plane to another… A managed to get some sleep during the flights, but I was still extremely tired upon arriving to the Canaries. (And then it came to my mind that I will have to do the same endless packing three times again in the coming month… But OK, I stop complaining.) After collecting my normal luggage, I had to go down one floor to pick up my bike box, but that floor was completely deserted – with only a few lights turned on, endless baggage claim areas with no people around at all, and then, at the very end of the area, my bike box rolled out on its own, alone. With no personnel or anyone around. It was a bit scary… Then as I stepped outside, I was shocked by the 28°C air temperature, so I took off some clothes (:P) and headed to the taxi area as fast as I could. There, the taxi drivers were the ones under a slight shock, as they realized, that all this luggage was mine, and there was no other person traveling with me :D But no worries, everything fit in perfectly (with the rear seats leaned forward), and we were on our long way up to the observatory in no time. 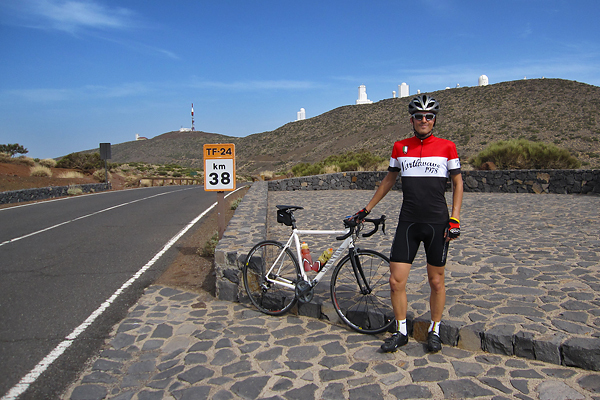 It was still early afternoon when I arrived and checked in at the Residencia of the Observatorio del Teide. (I might consider learning Spanish instead of Dutch, if I want to get a job after my PhD as a support astronomer somewhere…) I even met two Hungarians, which was a nice surprise! As I was extremely tired, I had not done anything later that day, except that I assembled my bike, and unpacked all my bags. 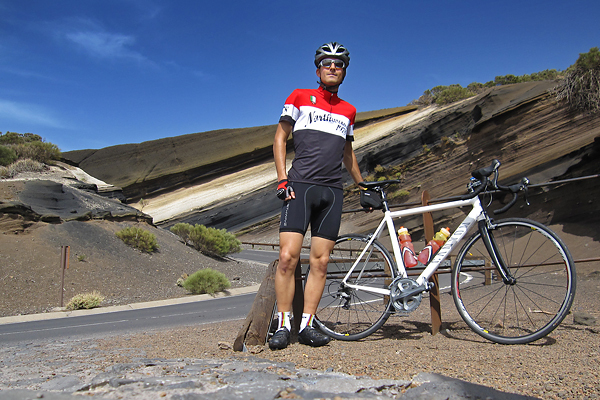 Yesterday I woke up at around midday, and after a nice lunch, I went for a relatively short acclimatization ride on the afternoon. (GPS details here.) My policy is the following: as I am on a work trip here, I only go cycling on those days, when I have no observing duties on the following night (because I might be in a good shape, but staying up all night and working with expensive equipment is not something you want to do tired). First I went down to 2000 meter towards the NE (passing the famous colorful curves of the TF-24 road – see picture above), than I turned back, and climbed up almost to the point where I started, but as I felt still quite strong and I had still a lot of water in my bottles, I decided to ride a bit to the other direction on TF-21 towards the Teide volcano. It was really nice, with slopes between 4 % and 12 % (with 7-8 % most of the time). 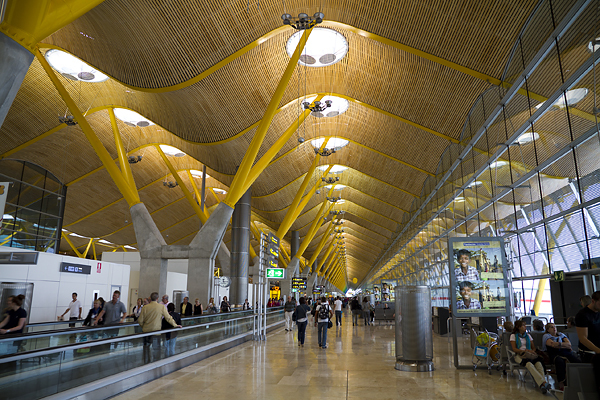 This entry was posted in Uncategorized and tagged airport, bicikli, csomagolás, cycling, english, észlelés, munka, observing, packing, phdinleuven, repülőtér, tenerife, work on September 25, 2010 by Péter I. Pápics.